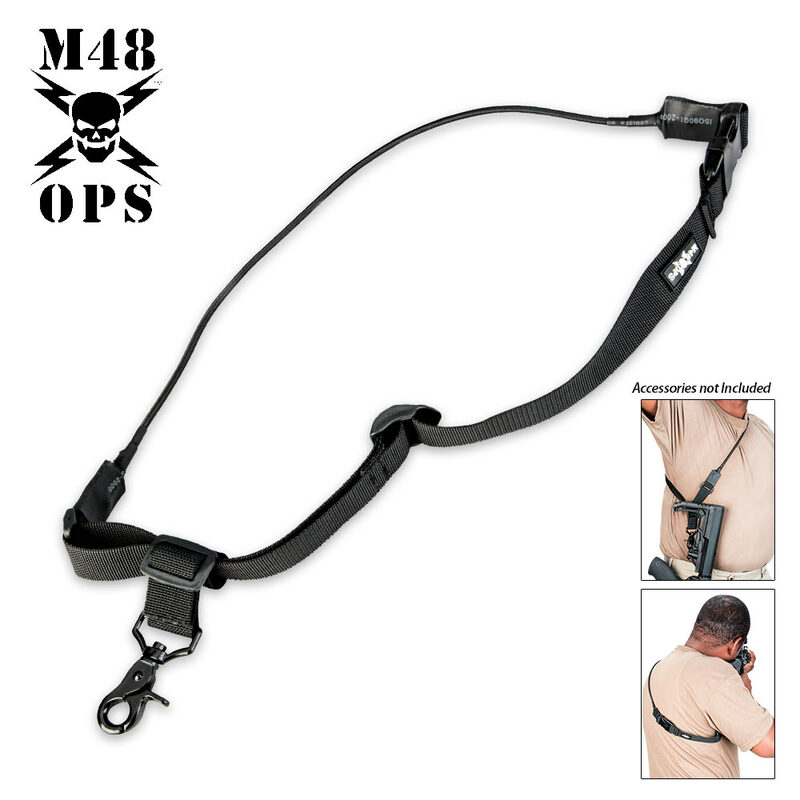 M48 OPS Adjustable Tactical One-Point Elastic Sling Black | BUDK.com - Knives & Swords At The Lowest Prices! 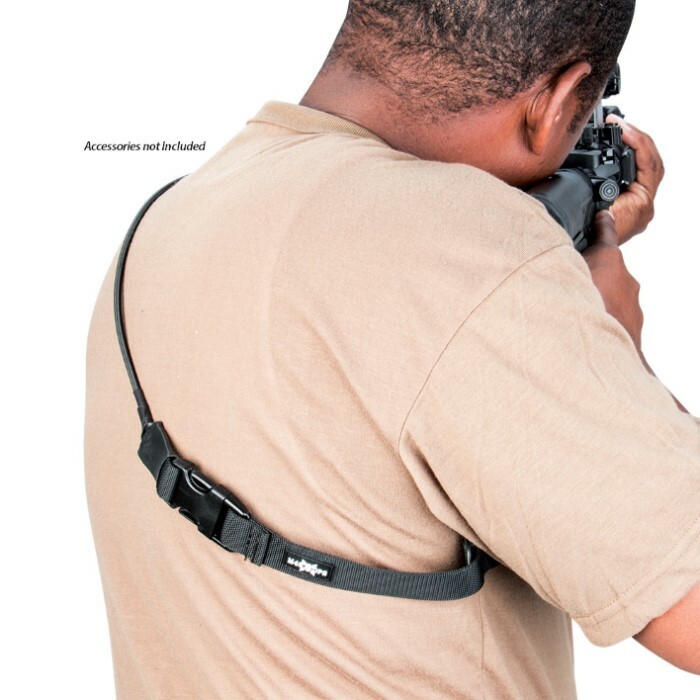 Clip this one-point tactical sling to your rifle and carry it over your shoulder. The elastic nylon construction is super lightweight so it won't weigh you down, plus it frees up your hands. It's black for a covert, tactical look and feel. The buckle closure snaps securely, and the reinforced clip has a strong closure. This sling is adjustable for a comfortable fit. Haven't owned it long, but seems to be built solid and straps stably. Holds my airsoft M4 in a very comfortable position, front or back. It's NOT padded, so it will feel like it's digging into you if you aren't wearing some kind of thick material. If you really wanted, it wouldn't be hard to add your own padding. For $5, this is great. Once again, a budk product I can't beat on the rest of the internet. 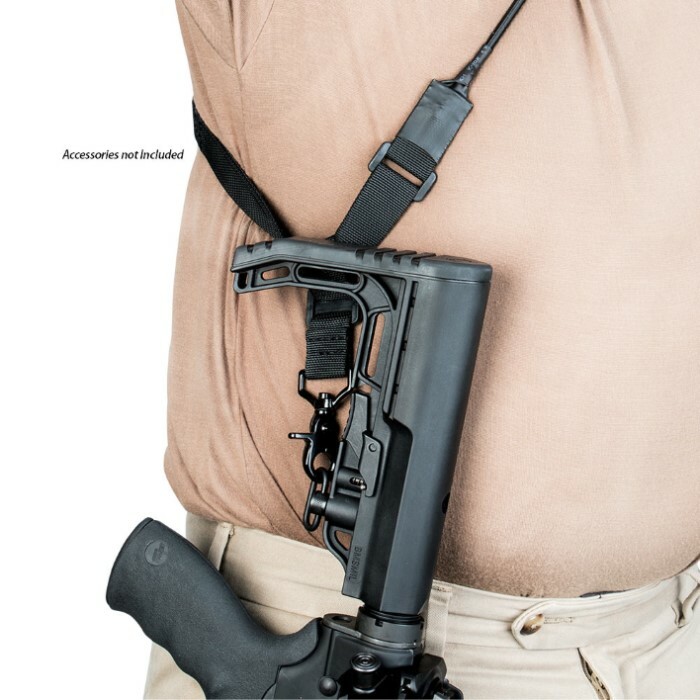 Sling is perfect for the Chiappa M4 22 pistol. Sling is attached to a Picatinny sling swivel mount that fits any rail. Swivel mount was also purchased from CHKadels. Very satisfied with the sling and swivel.